Liqui Polish Pad with hook and loop fastener. 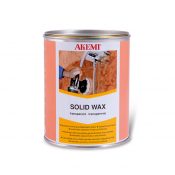 Polishing pad for AKEMI Liqui Polish. Suitable for floor grinding machines, hand grinding machines and angle grinders.